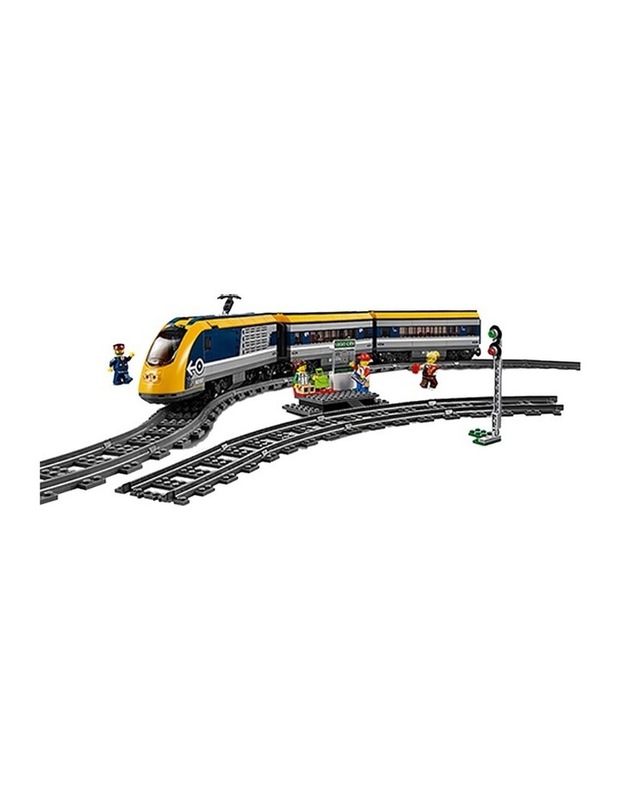 Head to the train station for a fun trip! 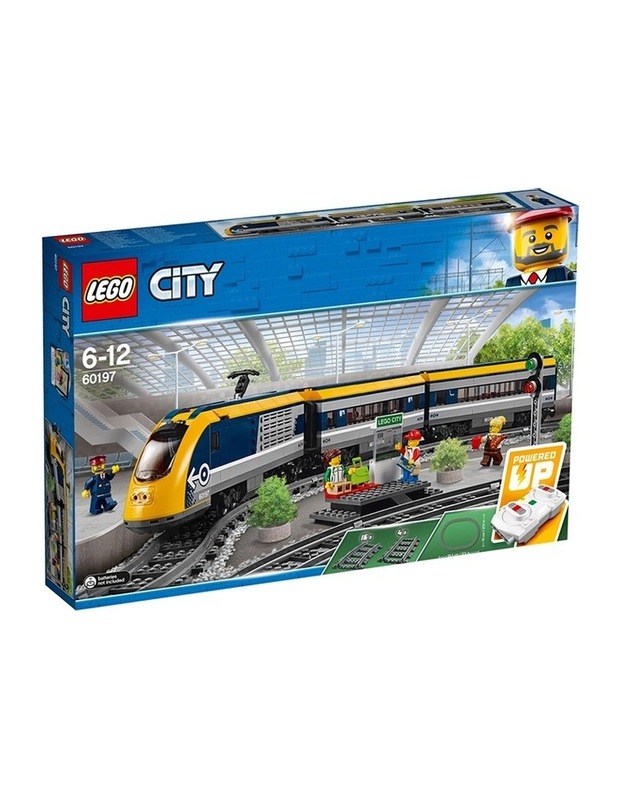 Board the sleek LEGO City 60197 Passenger Train and head to the cafe car for a snack while you travel. Watch the scenery pass by before heading to your seat for a nap. Ding ding! Wake up, the train is pulling into the station. It's time to head out on your next adventure in LEGO City! 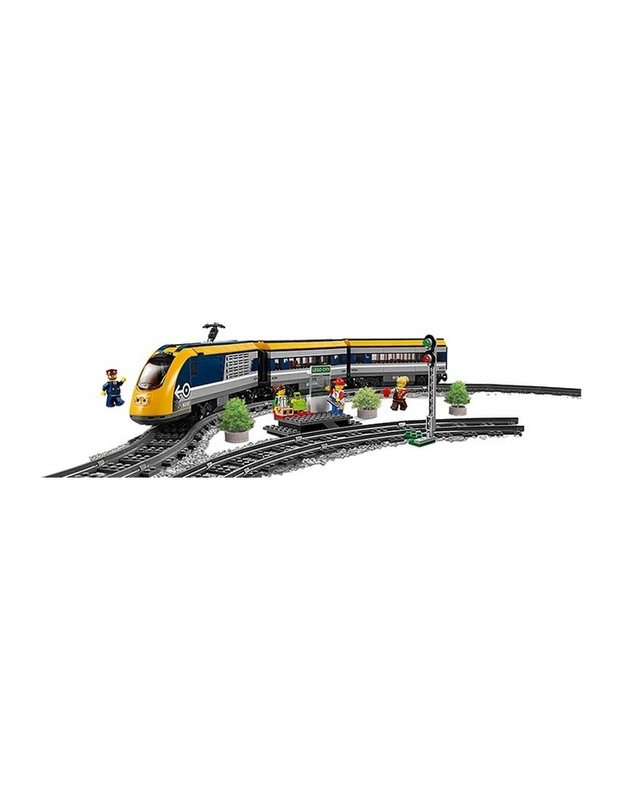 - Includes 4 LEGO minifigures: 2 passengers, a train conductor and a train attendant. - Features a motorised engine with 10-speed Bluetooth remote control and opening nose cone, pantograph on the roof and drivers cabin with opening window and control panel, plus a caf car with removable roof and tables, and a passenger car with removable roof, seats and tables. - Also includes a platform with 2 seats and train services map, a full circular track with 16 curved rails and 4 straight rails, plus a buildable train signal pole. 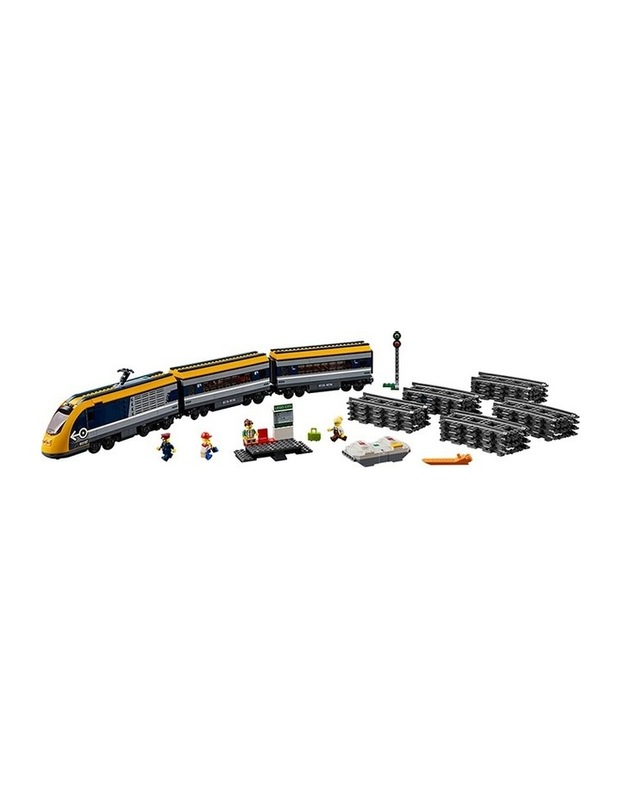 - Accessory elements include 3 mugs, 3 muffins, a hot dog, croissant, messenger bag and a suitcase with LEGO box inside. - Lift off the roof to access the passenger train cabins filled with cool details. - Operate the train with the 10-speed Bluetooth remote control. - Drive to the platform and pick up or unload passengers. - Set the rails in different ways to fit your city's style. - This product requires batteries (not included). Please refer to the product packaging for types and quantities. - The included Bluetooth remote is not compatible with older infrared remote-controlled LEGO train sets. 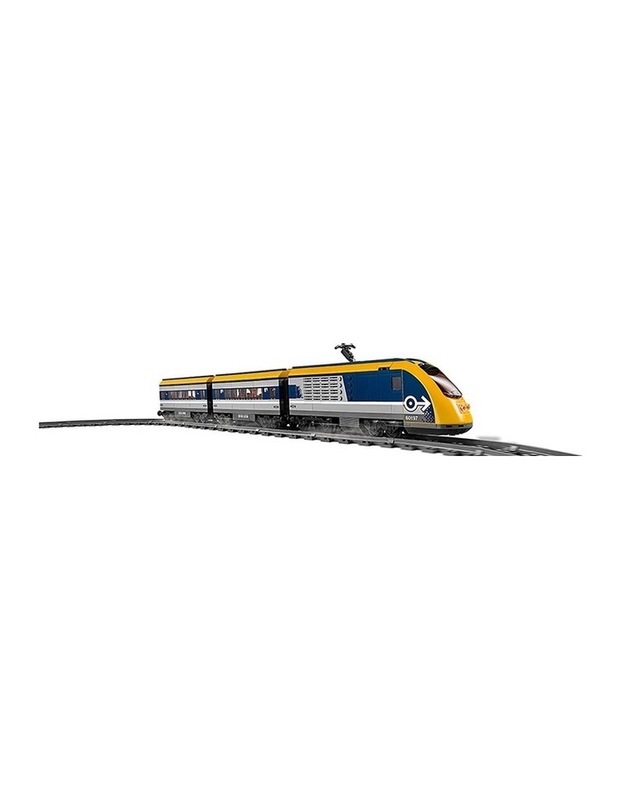 - Passenger Train with cars measures over 4 (11cm) high, 27 (69cm) long and 1 (5cm) wide. - Engine section measures over 4 (11cm) high, 10 (26cm) long and 1 (5cm) wide. - Platform measures over 2 (7cm) high, 4 (11cm) wide and 2 (6cm) deep.